Learn about which foods will support you and your baby through each stage of pregnancy, labor, and postpartum. Improve postpartum recovery through nutrient-dense foods and self-care techniques. Discover how prenatal Chiropractic care can maintain a healthy pregnancy, shorten labor times, and reduce the number of birth interventions. Learn how Chiropractic for the newborn aids with latching, sleep, constipation, and more. 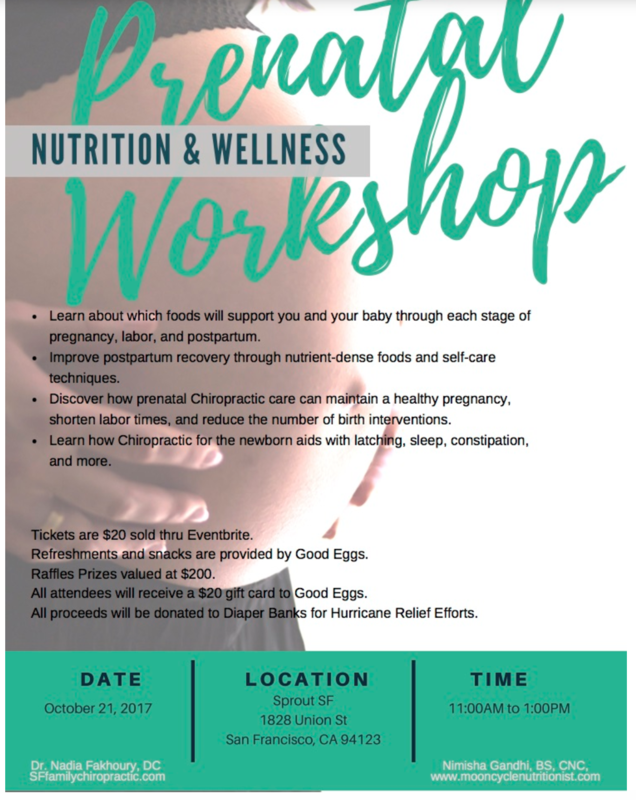 Tickets for the event are $20, and all proceeds from this event will be donated to Diaper Banks to Hurricane Relief Efforts. Each attendee will receive a $20 gift card to Good Eggs, and we will have a raffle with prizes valued at $200. Snacks and refreshments for the workshop will be provided by Good Eggs. Nimisha Gandhi,CNC is a research-based, holistic nutritionist, Ayurvedic counselor, and Yoga Nidra teacher. 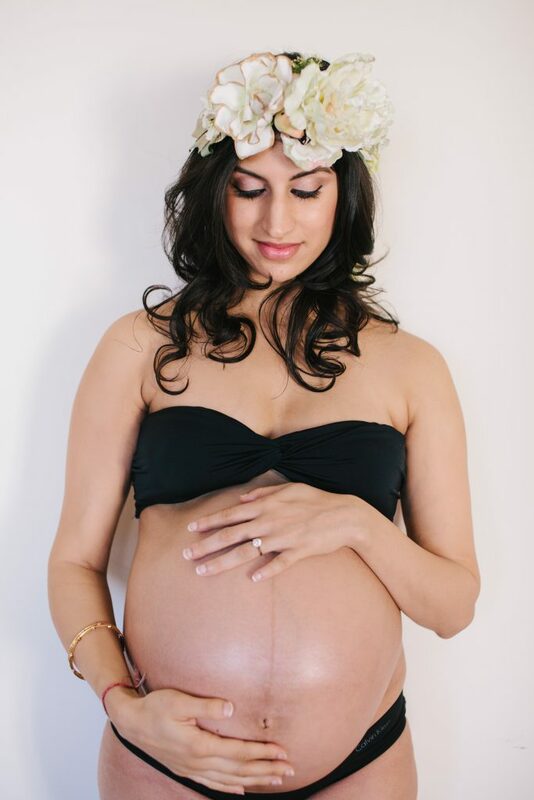 Dr. Nadia Fakhoury is a family Chiropractor, specializing in prenatal and children. Both are in private practice in San Francisco. They share a passion root-cause healing and non-invasive interventions for total well-being.